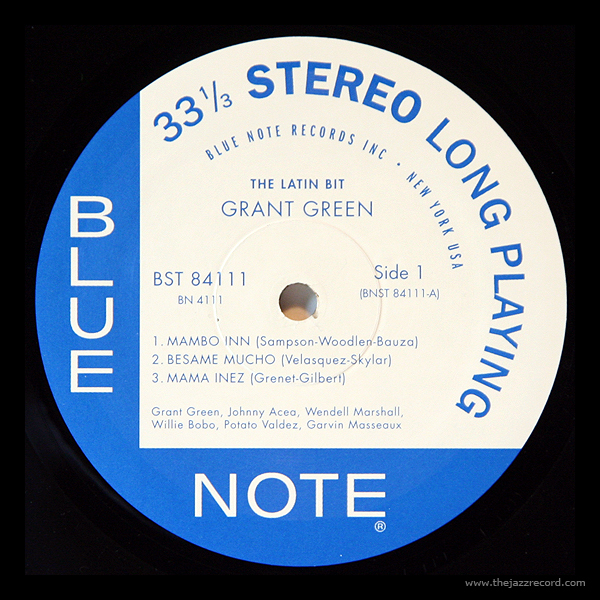 A Blue Note Records Label Guide focusing on the variations, collectibility and sound quality of Blue Note vinyl over the years. 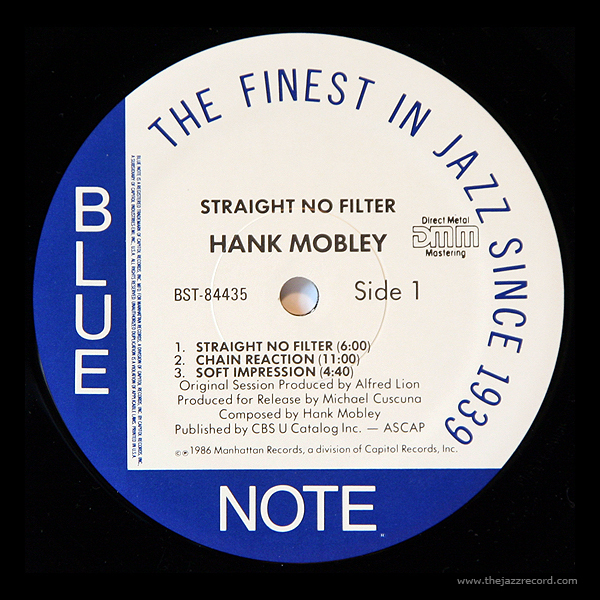 Blue Note is the most collectible of all the jazz labels. They have a rich and long history, and as such there have been many label variations over the years, each with it’s own distinct characteristics. 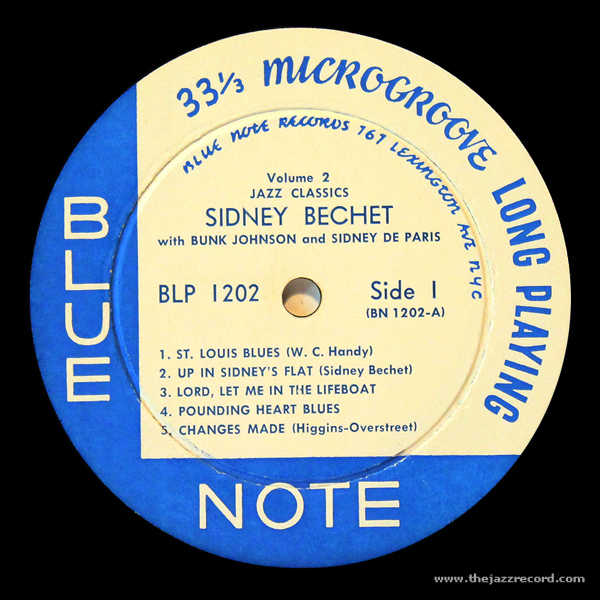 Below is a quick and simple Blue Note labelography for the serious and casual collector alike. Found on the “1200” Series and catalog numbers 1501 to 1543. Deep Groove with hand-etched “RVG” and Playstylite “ear” in trail-off. This label is Mono only. Sometimes mistakenly referred to as “161” Lexington Ave.
For collectors with deep pockets. First appearance of the classic “47 WEST 63rd” label. Feature the distinctive “NEW YORK 23” following the address. New releases on this label are catalog numbers run roughly 1544 to 1559. Deep groove with “RVG” and Playstylite “ear” in vinyl trail-off. Excellent sound quality and highly collectible. Second appearance of the “47 WEST 63rd” label. “NY 23” is replaced by “NYC” after the address. No “INC” or Registered symbol (“R”) at bottom of label. New Releases on this label are catalog numbers 1560 to 1599 and 4001 to 4010. Mono and Stereo pressings exist with this label variety. Deep groove with “RVG” and Playstylite “ear” in trail-off. Final appearance of the classic “47 WEST 63rd” label. With “NYC” following the address. “INC” and Registered symbol “R” are both present. New releases are catalog numbers 4011 to 4080, with some exceptions. Deep Groove with “RVG” and Playstylite “ear” in the trail-off. Excellent sound and highly collectible. New releases on this label are catalog numbers 4081 to 4152. Deep groove generally only appears on earlier titles re-pressed on this label, not new releases from this time period. “RVG” and Playstylite “ear” appear in trail-off. Excellent sound quality that is often the equal of the “47 WEST 63rd” pressings. Mono and Stereo pressings exist for this label variety. Still very collectible and can often be had for much less than earlier pressings. End of an era: Blue Note is acquired by Liberty Records. New releases on this label run roughly from catalog numbers 4253 through 4375. Deep groove and Plastylite “ear” are gone from all “Liberty” pressings. Re-pressed titles from this era may have “NEW YORK USA” or “47 WEST 63rd” labels as they used up existing stock. Prices vary depending on artist and title, with some good bargains to be had. Issued 1970 until early 1971. New releases on this label are catalog numbers between 84376 and 84414, with some exceptions. Good sound quality, can often be had for much less than other label variations. Issued 1971 – 1973 and again in 1975. 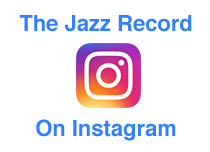 A short return to the original looking Blue Note design and color scheme. Many classic titles from the 1500 series were re-issued in mono with this label. New releases on this label are catalog number 84415 (Grant Green’s The Final Comedown) and then follow United Artists new numbering system BN-LA006-F through BN-LA059-F.
Often excellent sound and early titles re-issued on this label can often be found at bargain prices. Has “A DIVISION OF UNITED ARTISTS RECORDS, INC.” along the bottom of label. New releases on this label are numbered between BN-LA098-G through BN-LA369-G. Many classic titles re-issued with this label. Sound quality on new releases and re-issued titles varies from decent to very good. Can be had for bargain prices, great for the collector who is not label-obsessed. Has “MANUFACTURED BY UNITED ARTISTS MUSIC AND RECORDS GROUP, INC.” along the bottom of the label. New releases run roughly from catalog numbers BN-LA368-G through BN-LA667-G. Many classic titles re-issued on this label. Sound quality varies from decent to very good, great for the collector who is not label-obsessed. Has the “MANUFACTURED BY UNITED ARTISTS MUSIC AND RECORDS GROUP, INC.” along the bottom of the label. Re-issues and new releases can be found on this label. Identified by “THE BLUE NOTE RE-ISSUE SERIES” logo on top left of label. These were double LP releases in tan gatefold covers. 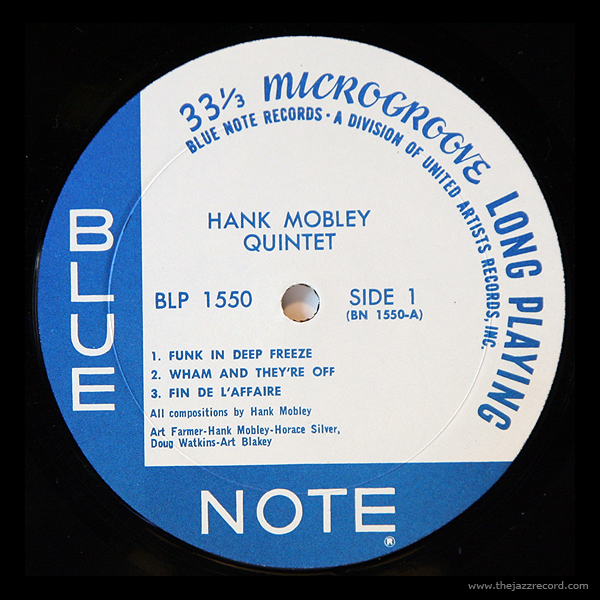 Many releases in this series contained unreleased music from the Blue Note vaults. The Re-Issue Series ran between catalog numbers BN-LA451-H2 and BN-LA883-J2. Good sound quality and can often be found for an affordable price. Issued 1979 – 1980. 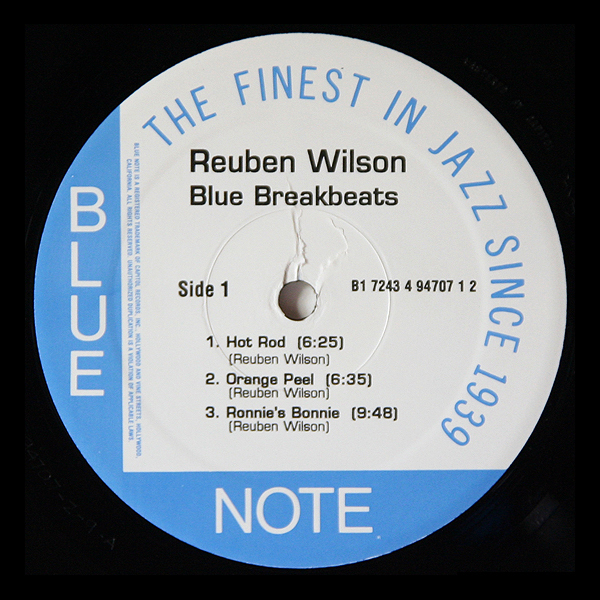 After these releases Blue Note was no longer active as a label until 1984. Has “MANUFACTURED BY LIBERTY/UNITED RECORDS, INC.” along the bottom. Easily identified by the “LT” prefix in the catalog number, running from LT-987 to LT-1103. 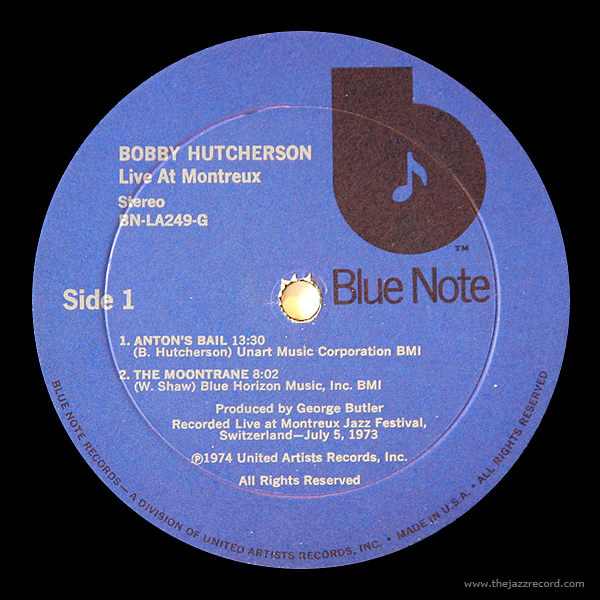 Titles issued in this series were unreleased albums from the Blue Note vaults. 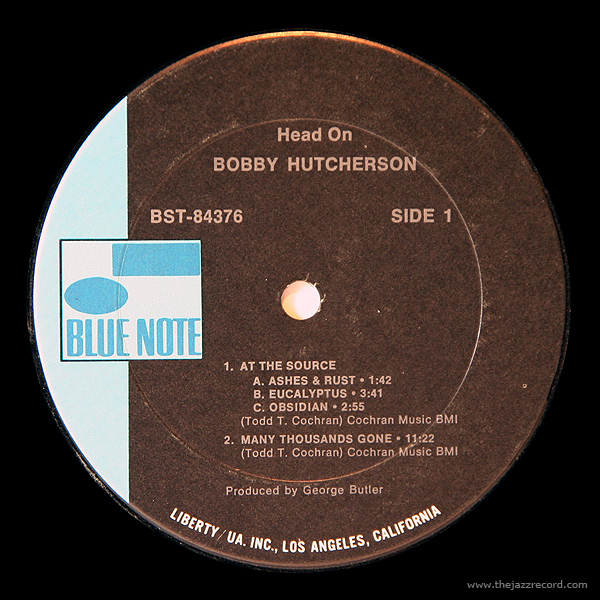 Cover artwork is solid white with a rectangular picture in the middle and a black bar along the top with a rainbow stripe and “blue b” in the top left corner. Buyer beware: these have been re-issued by Scorpio (see below) with the same cover and different label. Sound quality is good and originals are usually quite cheap. Pressed by the French EMI affiliate Pathe Marconi, easily identified by “Reedition de” beneath the catalog number on left side of label. This series features re-issued titles only and used copies are easily found in the US. Sound quality is average, but many rare titles can be found for a fraction of the originals. Label reads “MFD FOR MANHATTAN RECORDS, A DIVISION OF CAPITOL RECORDS, INC. AND CAPITOL INDUSTRIES – EMI INC. BY EMI FRANCE” along the left side. This series consists of re-issued early titles and some unreleased sessions. All pressings are “Direct Metal Mastering” (DMM) although not all have the symbol on label. Sound quality varies wildly, generally not recommended and not considered collectible. The last of the Manhattan Records pressings, this time pressed in the USA. All releases are “Direct Metal Mastering” on this label variety. 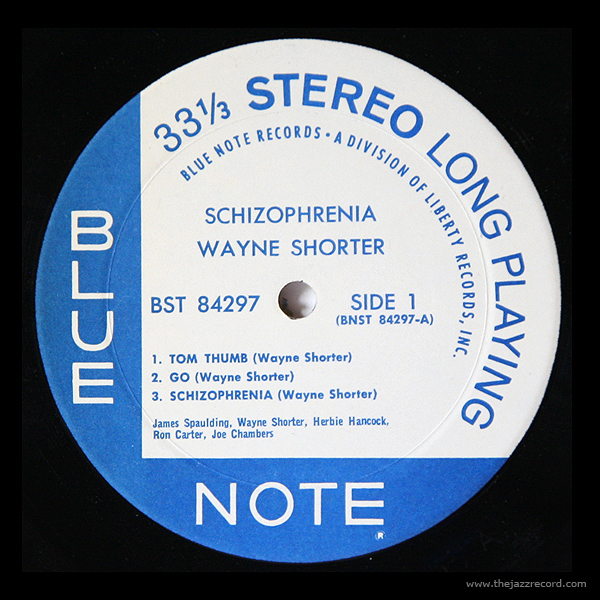 Better sound than the EMI France pressings, the last Blue Note vinyl worth your time issued in the 1980’s. New releases on this label can be enjoyable, but the re-issued titles should be avoided as they are generally regarded to be the worst sounding of all vinyl re-issues. Not considered to be collectible. This series was made up of about 25 titles focusing on some overlooked classic titles, including some from the LT series above. Identified by a catalog number beginning with “B1” prefix on left side of label. These were limited edition, audiophile pressings on 180 gram vinyl remastered from the original analog source. Excellent sound quality, and can be found for reasonable prices. A brief re-issue series of ten of the most classic Blue Note albums. Identified by a catalog number beginning with a “0777 7” prefix on the left side of the label. Titles were: Blue Train, Moanin’, Somethin’ Else, Go, Speak No Evil, Soul Station, Sonny Rollins Volume 2, Maiden Voyage, The Sidewinder and Song For My Father. Excellent sound quality, often a nice substitute for an original copy. The “Rare Grooves” series focused on some of the best soul jazz and jazz-funk that Blue Note had to offer. Releases included individual albums as well as some compilation LPs. Identified by a catalog number beginning with a “B1 7243” prefix on the right side of the label. Decent sound, but not audiophile, these can be a cheaper way to get some rare funky titles. Known as “Scorpio” pressings (they appear to hail from Scorpio Music in New Jersey). Identified by the “304 PARK AVE. SOUTH” on the label or back cover (or both). Most have “S-xxxx” etched in the vinyl trail-off. Digital to vinyl transfers, certainly not audiophile sound, but a cheap way to acquire rare titles. 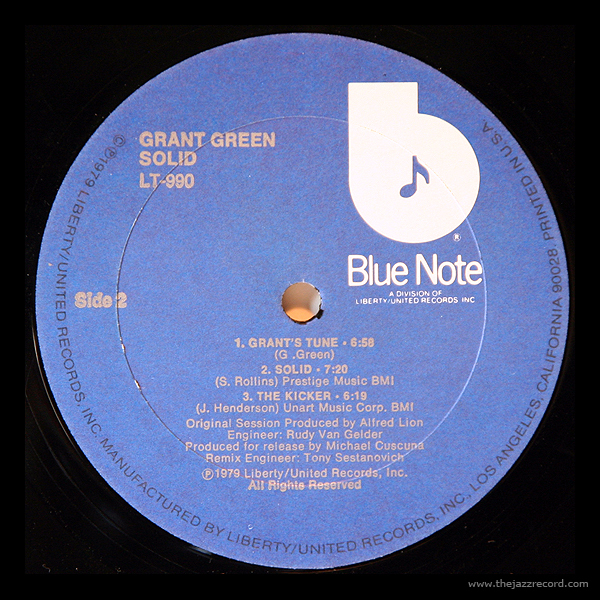 Starting in 2014, Blue Note embarked on a “75th Anniversary Vinyl Initiative” to re-issue 100 classic titles on vinyl. Identified by the “©20xx Blue Note Records” along outer edge on right side of label and “150 5th Avenue” address on back cover. Beautiful reproductions of original artwork and labels. Full line-up of current and planned releases can be found here. Great sound, not quite audiophile, but undisputed classic titles can be had for affordable prices.